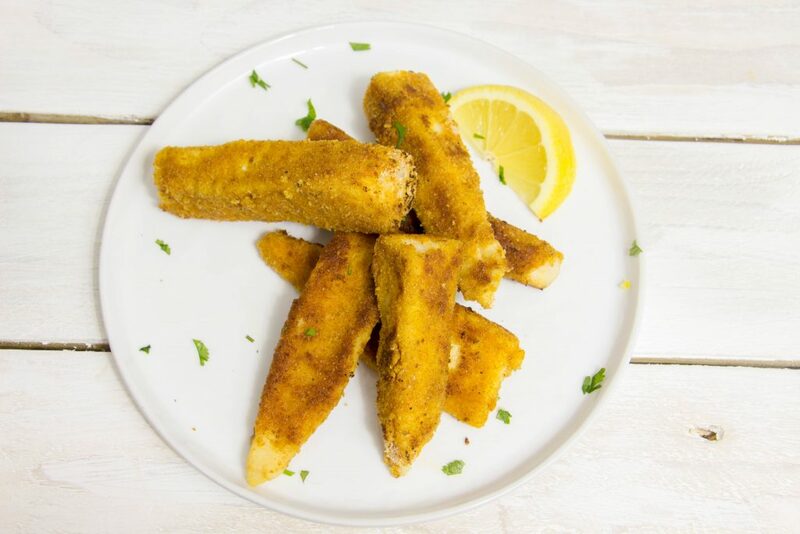 No one will ever convince me that store-bought fish sticks (that’s fish fingers to you fellow Brits) can ever compare to the homemade kind. When they’re as easy to make as these are and only take a few minutes, it’s worth it every time. One of the best things about making your own fish sticks is that you get to control the flavours that got into coating the fish. In this recipe I’ve used a little paprika and cayenne pepper, along with salt and cracked black pepper. Parsley also tastes great with fish sticks and can be finely chopped and added to the breadcrumbs. My favourite way to eat fish sticks is in a hot white roll, full of butter. I think it’s because it was one of those meal that I had a lot when I was a kid, so whenever I eat it now I’m flooded with nostalgia. I’ve used tilapia in this recipe for a couple of reasons; firstly, it’s quite a firm fish, making it easy to handle and coat. Also, it’s a reasonably inexpensive fish, which is perfect as you really don’t want to be spending a fortune when making fish sticks. Cod or haddock would also work really well for this recipe, so don’t worry if tilapia is a little hard to come by where you are. 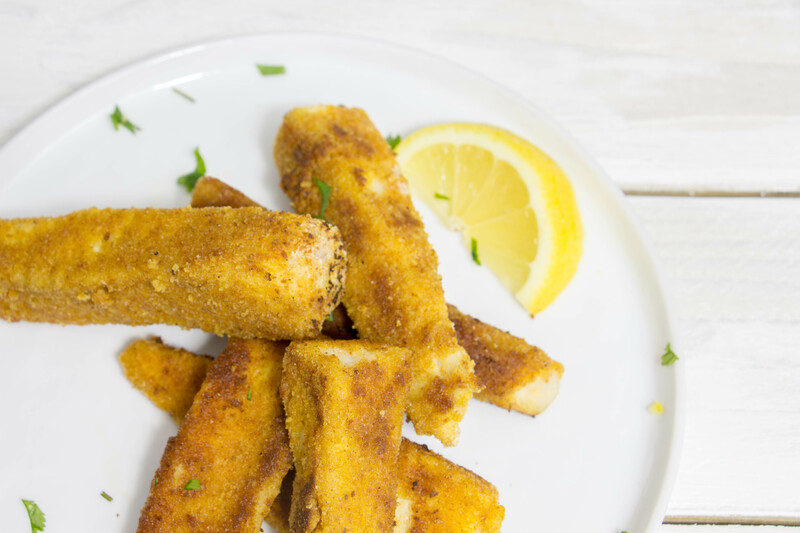 This recipe make 10 fish sticks and If your making them as a main meal, I’d say 4-5 per hungry person would be more than enough, so if you’re making for a big family your can just double up the quantities. Begin by rubbing the tilapia strips with the salt and pepper. Next, place the flour in a large bowl. Next to it, place the whisked egg in another bowl and finally, place the breadcrumbs, paprika, and cayenne pepper together on a large plate. 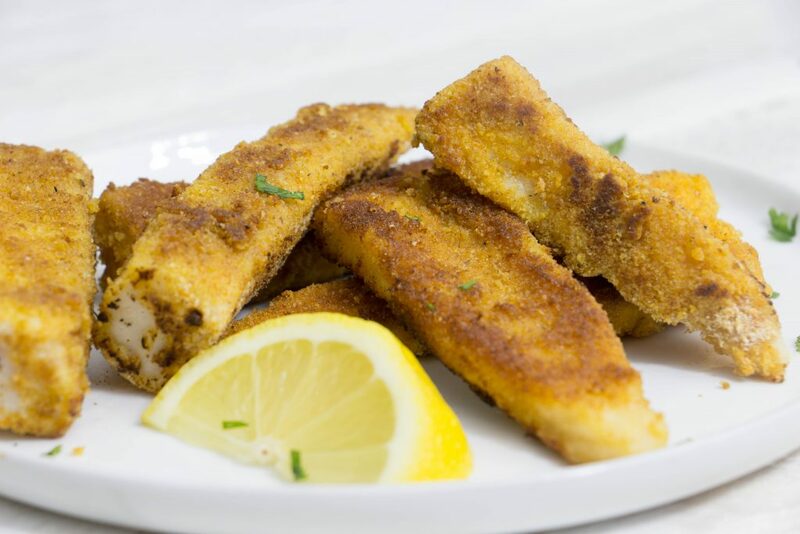 Each tilapia strip needs to first be coated in the flour, then dipped in the egg and finally, coated with the breadcrumb mixture. Use your hands to press the breadcrumbs to the tilapia to ensure they stick. Place a large saucepan on a medium heat and pour in the olive oil. When the oil is hot, place the fish sticks in the pan and cook for approximately 6 minutes, turning the fish regularly so that each side gets that crisp, golden colour we're after. Serve up with a wedge of lemon and a sprinkling of parsley! The coating came out so good on the tilapia. I suppose the recipe would also work well with salmon. Instead of paprika, I substituted Old Bay for a Chesapeake twist. It was awesome, and look forward to serving at our next party. My nutritionist was suggest me this fish, for a good health and enough nutrition. Now I am looking for some recipe on this. My husband told me, these are great for fries or roast. Thanks for sharing this recipe. I am really going to try this at my home. Till then, hope you will post something more interesting.